You should know from the start. Clarity improves everything when you’re collaborating with Japanese speakers. You’ll quickly see the need for good language when you can’t express yourself the way you intended. If you have to learn Japanese, then take some lessons from the workplace. Let’s take a better look to see where is the best place to learn Japanese. Japanese culture is welcoming to people who have new ideas and solutions to offer. Breaking into the corporate world of Japan relies on your ability to speak its language. 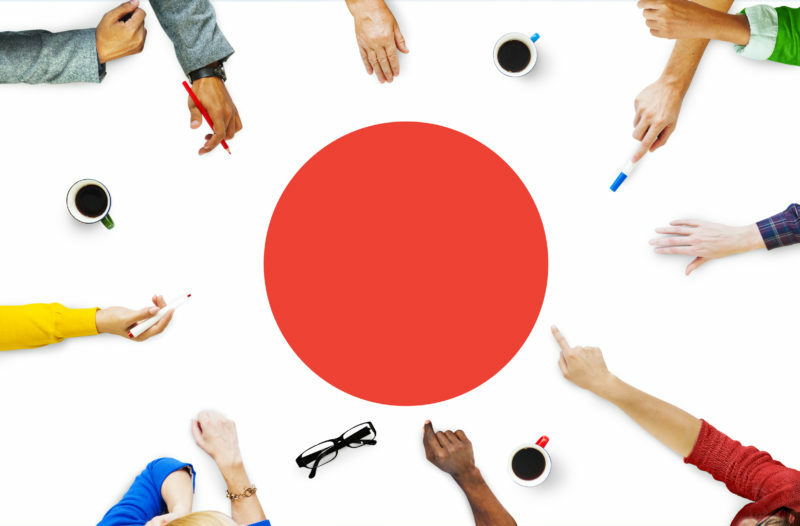 Learning Japanese can advance you within Japan’s social and professional societies. Since it’s considered among the most competitive nations, your use of Japanese will cover all spectrums. The competitive nature of Japanese culture is a great place to begin. Getting to your destination can happen with resources like Anki, and the workplace is a place to apply your knowledge. The Anki package is a software tool that comes with an active support group to teach you words and Kanji fast. Japan does its international business by managing a dynamic between Japanese and English. The need to connect with the world makes Japan open to your level of speaking. This could be the best place to get a stronghold on the language. Learning in this environment also has its financial rewards. Bilingual speakers have job security in Japan. Worldwide, they’re respected. The country’s desire to expand positions it to find people who have a grasp on foreign languages. This is your chance to learn Japanese with career-driven goals in mind. Meeting the demands of the business world is possible with a grasp on grammar. Improving your grammar could spark a future you never expected. Imabi and Tae Kim’s Guide to Japanese Grammar are ideal places to go. Keeping a team thriving and organized requires communication. Speaking is so important that firms hire candidates based on vocabulary and their command over words. Learning Japanese helps you to fit in, but doing it in a work environment can perfect your vocabulary and get you to use it in ways that make you fluent. Don’t downplay how much power language has. The workplace is a solid place to learn. Consider dictionaries like Tagaini Jisho and Tangorin to keep your Japanese under control. Language has evolved to the same degree that we use and hold resources. Resources cover money and teams. Commanding workers and resources positions an enterprise to advance. Advancing in this manner is a matter of words. The application words have in a workspace boosts your comprehension of Japanese and your ability to apply it. One slight detail, made as an error in English, could turn an idea you intended to say into another. You want to avoid those mistakes when learning a new language. Using resources and managing a team requires accuracy, and the workspace is where many professionals learn this lesson. Only practice gives you command over Japanese for an effective use of it. The italki platform uses teachers to shortcut your process with lessons you can schedule as you need. You start from where you are to then advance to a level of perfection. It helps to submerge ourselves when making major breakthroughs. There’s a sense of urgency we want to you have as you see how language can change your life. The workspace can do it. Some of us are asking if the study is worth it while others ask why Japanese is important. The country promises a good-life while its business promises fulfilling careers. Those promises may be clouded by the realization that you’re distant from the average Japanese speaker. Here’s where our sense of urgency stands. Bridging a language gap is possible once you’re committed to learning that language. True adaptation brings in a bit of struggle and why the workspace has the right ingredients. We don’t want you to use this message the wrong way. We want you to instead be driven by the reality that the change you want comes with a control of Japanese. Not being a native to Japan means you’re far behind, but that’s OK. This is why we suggest that you take lessons from the professional-space to grasp the right angles when learning. Consider Lang-8 that only uses native-speakers to help you in reading, writing and pronouncing Japanese in all of its forms. Look to Japanese culture as you build your linguistics. The challenges to face in Japan have more to do with how the culture works than the language. This culture takes politeness and respect for the elderly seriously. The language is even built without subjects in many cases. This means that instead of, “I’m running,” the selfless nature of Japanese will say, “Running.” These cultural nuances are important because you want to remain within the lines of respect as you talk. What you think may be a safe idea or statement can easily come off as an offense. For this reason, it helps to learn the culture as you go. Understanding culture is about listening. What if you committed yourself to only listening for the next month? You can start with NHK News Web Easy to focus specifically on listening and understanding the Japanese people. Opening your ears gives you a wealth of information to better connect with Japan. Leading isn’t just about giving people orders. The people who work for or with you have to believe in you. This also goes for dating. Your work is simplified when people feel you have their best at heart and when you can connect on a personal level. These are reasons why learning Japanese in a work environment could do you wonders. Ignoring people or developing superficial relationships works against you in the long run. Having a better hold of Japanese gives you the power to make real connections, to inspire your team and get to the core values of people’s lives. Start today with a professional mind, and you’ll clearly see where is the best place to learn Japanese.